Last month, Sodahead, an online polling site, posted the question, “Despite $9 Billion Income, Why Isn’t the NFL Taxed?” and decided to include in its posting our NPQ Newswire from March 5, 2012 asking the same question and a link to a feature we did on the NFL’s tax-exempt tax status in 2008. It generated a lot of Sodahead reader commentary, to put it mildly. But why now? 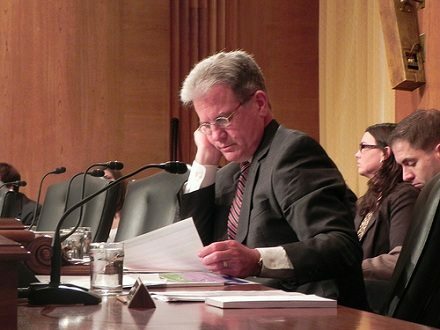 It may or may not be related, but Sen. Tom Coburn (R-Okla.), a serious congressional budget hawk, just released the 2012 edition of his annual “Wastebook” on government-allowed pork. Amidst items such as $325,000 spent on robotic squirrels and $27 million spent on training Moroccans to sell pottery is the $91 million provided by American taxpayers for allowing the National Football League (NFL) and the National Hockey League (NHL) to classify themselves as non-profit organizations (Coburn cited other tax-exempt sports associations, such as the Professional Golfers Association, but the $91 million represents only the revenue lost because of the NFL and NHL exemptions). Among the NFL particulars noted in the Wastebook are that the 32-member NFL holds $1 billion in assets, generates an estimated $9 billion annually, and over half of the NFL teams are valued at over $1 billion. All NFL teams rank among the 50 most expensive sports teams in the world, and current NFL commissioner Roger Goodell had a salary and benefits of $11.6 million in 2010. NFL spokesperson Greg Aiello told CNN that the league office is a not-for-profit under IRS rules because it earns no profit. The NFL 501(c)(6) has had operating deficits of $42.3 million and $52.2 million in its last two years of 990 tax filings, but revenue or no-revenue isn’t the definition of a not-for-profit entity. Actually, three-fourths of nonprofit revenues are from the sale of goods and services—in other words, what is referred to as earned income. According to the Nonprofit Law Blog, there is no rule against nonprofits earning income. Nonprofits don’t pay taxes on income related to their nonprofit functions and purposes, but may pay taxes on unrelated business income. But Aiello’s statement is hardly a reason for or against the NFL’s tax-exempt status. Two dimensions of the Sodahead/Coburn commentary are interesting and a bit disturbing. In the Sodahead comments, the anti-nonprofit tenor of many is striking. It’s one thing to question whether the NFL merits tax-exempt status as the money-making machine that it is. It’s entirely another to suggest, as some commentators did, that the NFL represents some sort of scam that all “nonprofits” run to earn big money and pay big salaries while wearing a tax-exempt cloak. 501(c)(3) public charities often get pegged with the behavior and characteristics of 501(c)(6) business associations and, as we have written often, 501(c)(4) social welfare organizations. Public charities have to protect their “brand,” so to speak, and make sure that the American public doesn’t mistake the generally underpaid 501(c)(3) executive as a variant on Roger Goodell. By limiting returns to 100 times their initial investment, organizers believe they can have their profits and maintain their mission focus, too. We’ll see.